If you haven’t heard the buzz by now, it is clear that Chicago native Rockie Fresh is quickly becoming your next favorite rapper. Only 19-years-old and starting his music career in 2009, this young up-and-comer is already one of the hottest independent artists in hip-hop. 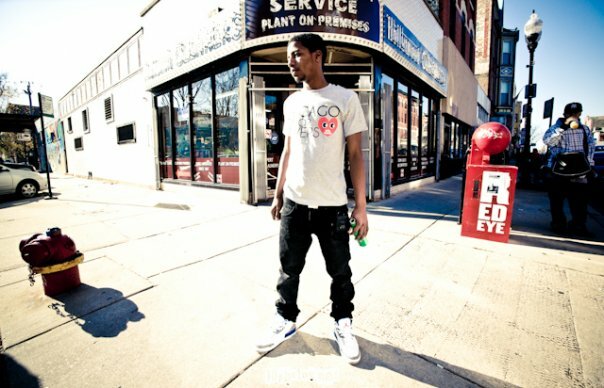 If you like good lyrics and good music coupled with some big name talent, you will certainly like the tunes coming fromRockie Fresh. I came across his single “Otherside” featuring Rich Hill, who has had multiple records with Cudi, and was shocked to find out about this guy’s talent and the names he has been able to score on some of his singles. Posted on April 12, 2011, in Hip-Hop and tagged rockie fresh. Bookmark the permalink. Leave a comment.